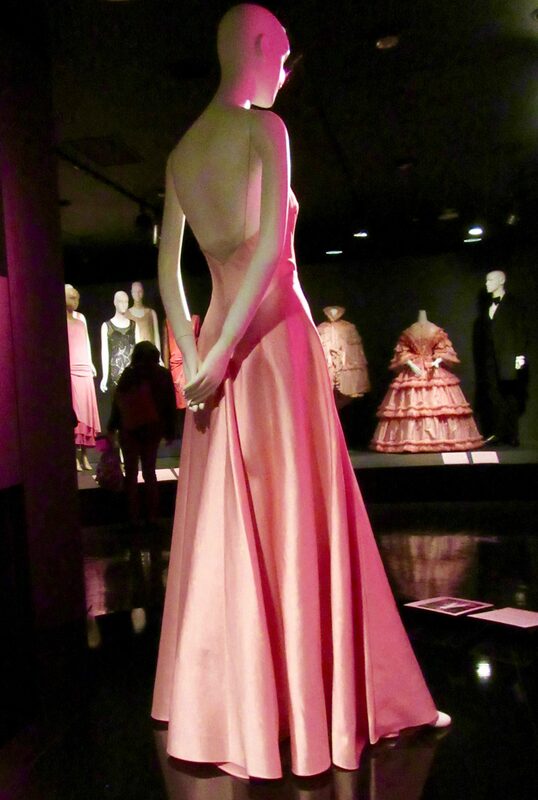 The Pink Dress that Gwyneth Paltrow wore to the 1999 Academy Awards was designed by Ralph Lauren to recall Grace Kelly. 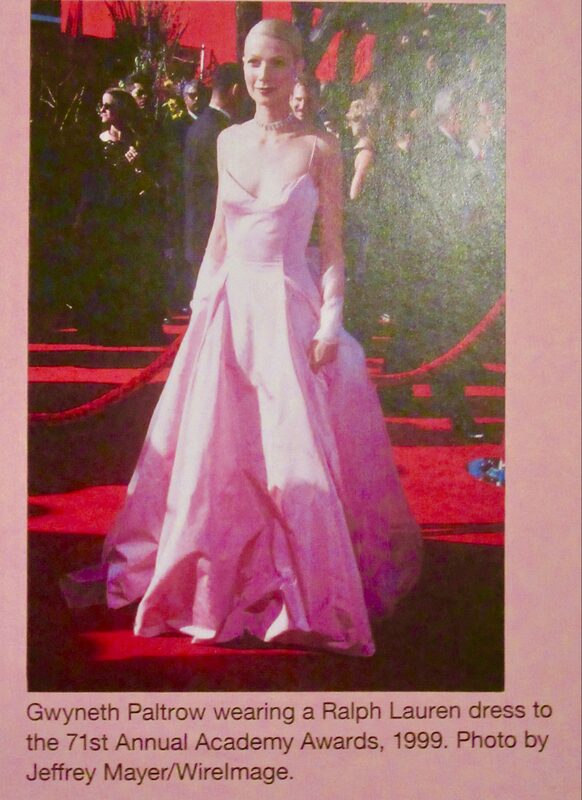 Featured in Hal Rubenstein’s 100 Unforgettable Dresses, it testifies to the enduring appeal of a pretty pink dress that makes the wearer look like a princess. 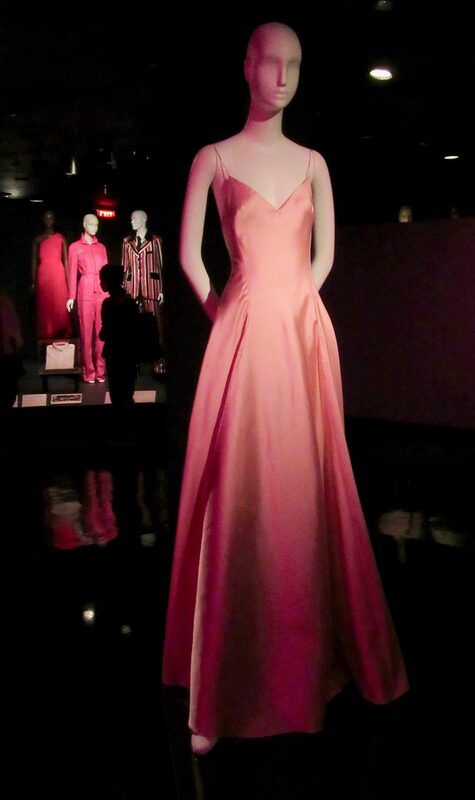 Photographed as Part of The Exhibit, Pink: The History of a Punk, Pretty, Powerful Color, on Exhibit Through January 5th, 2019 at The Museum at FIT, Located at Seventh Avenue and 27th Street in NYC. Geoffrey and I happened to be at Grand Central Station recently, waiting to board a train out of the city for the afternoon, when we happily discovered that we had an interesting opportunity to pass the time other than exploring the terminal’s impressive food court: we went to see a Brooks Brothers fashion exhibit. Established in New York City in 1818, Brooks Brothers — America’s oldest clothing brand, and the place where my late father bought virtually all of his suits — celebrated its 200th anniversary with an immersive special exhibition staged right in Grand Central Terminal’s Vanderbilt Hall. 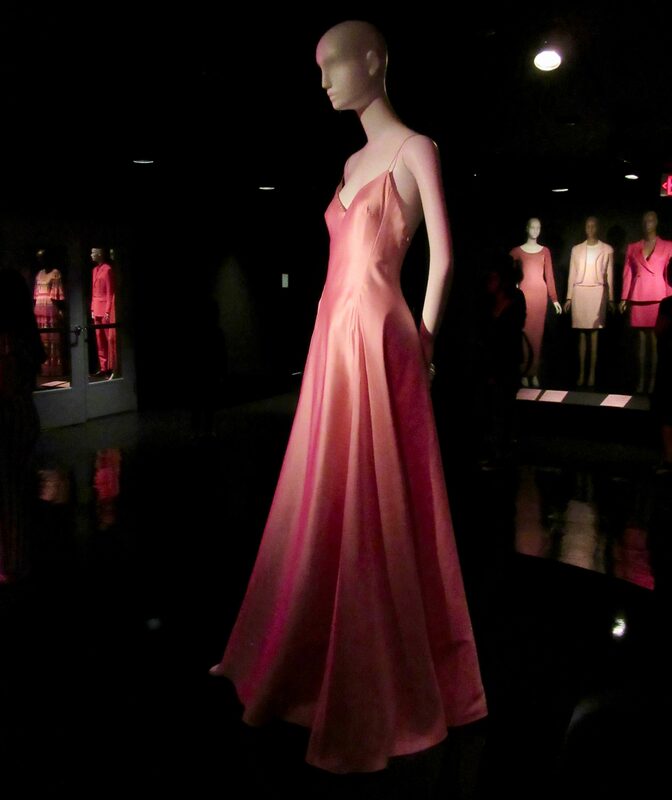 The exhibit traced the accomplishments, cultural significance, and global influence of the brand. It was fun to discover the company’s rich history, notable innovations and iconic fashion items that are still relevant, and seen everywhere, today. 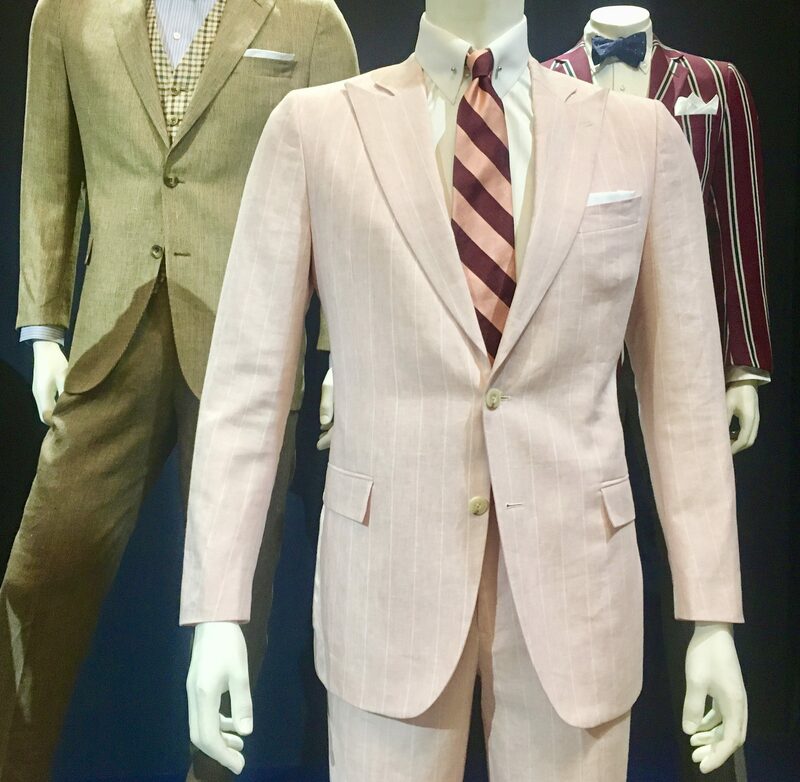 Alongside examples of formalwear ensembles created by Brooks Brothers for the 2013 film, The Great Gatsby (which won two Academy Awards for Best Costume Design and Best Production Design for Catherine Martin) we admired this classic Pink Stripe Linen Suit. 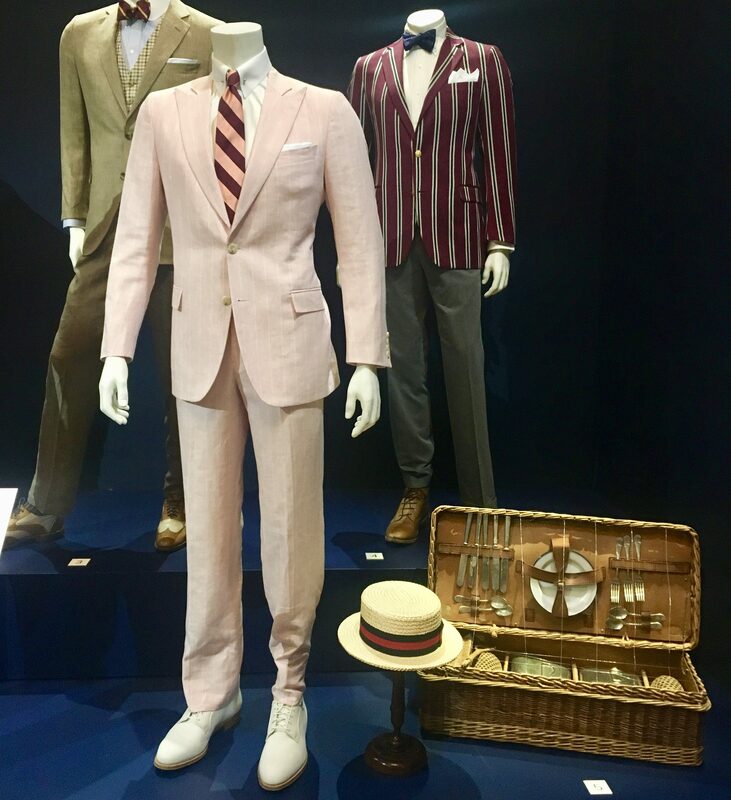 Inspired by the film’s costumes, and in collaboration with Martin, the limited-edition suit was sold at Brooks Brothers stores in 2013 as part of its Gatsby Collection. The line has since been discontinued. 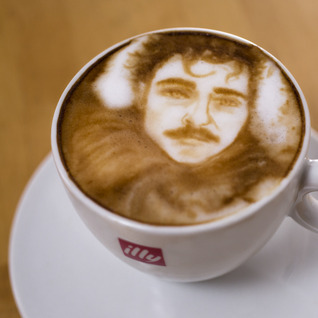 In anticipation of The Oscars, Coffee Artist of the stars Michael Breach (@baristart) has created this year’s Best Picture nominees in coffee. The full set will be released Here on Sunday, March 2nd. Happy Viewing! 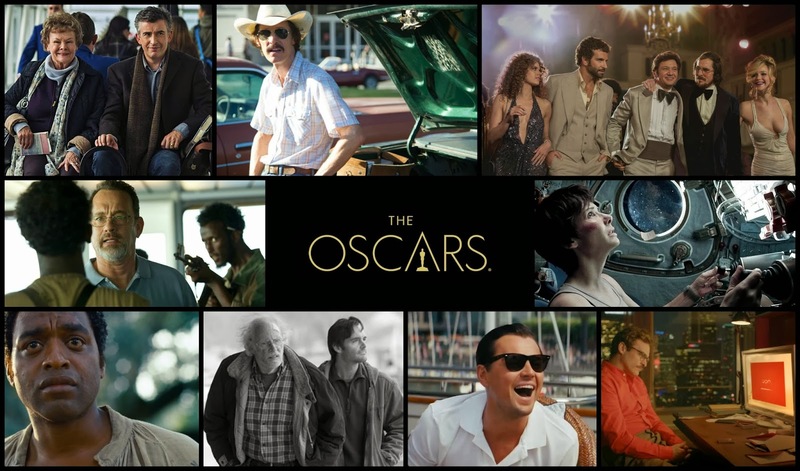 Who Will Win an Oscar On March 2nd? Our Predictions Are In! It’s no secret that I couldn’t care less about most awards shows – the Grammy’s being a prime example of a formerly held-sacred-by-me tradition that long ago became all about rewarding commercial success over acknowledging artistic merit. 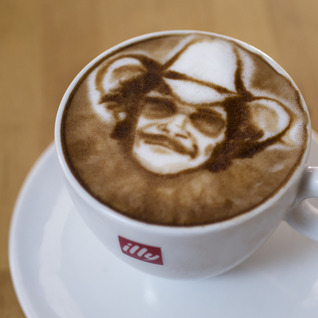 But being a huge movie fan, film awards like The Independent Spirit Awards, The Golden Globes and, coming up on March 2nd, The Oscars (whose list of nominees can be found at This Link) are the nights of ceremonial award giving that I shamelessly indulge in. Because to me, those awards are still more about the art than the box office returns. Over the Christmas holidays, I had the chance to get caught up on a handful of the films that would become contenders for the major category awards of 2014 including American Hustle, The Wolf of Wall Street, Dallas Buyers Club, Her (which I didn’t care for) and indie favorites like Inside Llewyn Davis, which got a little Golden Globe love but was virtually ignored by the Academy, despite being excellent on every level. If you’re passionate about film, it’s fun to predict who might win the Oscars in various categories – and for those inclined to wager a little cash on the outcomes, or who simply want water cooler bragging rights the day after, Sports Betting Dime has their odds posted right now (by the way, if fractional odds confound you, whichever film has the lowest number – less than a value of 1 being ideal – is the favorite to win). Two of the Best Picture Nominees – Gravity and 12 Years a Slave – I’ve yet to see. But there is still time! Here are a few of my personal favorites and some of my own predictions. My favorite film of those nominated is American Hustle. The script and direction are excellent, the cast perfect, with top notch acting by all five major characters, and I also really love The Soundtrack. American Hustle won the Golden Globe for Best Comedy, while 12 Years a Slave took the Globe for Best Drama. Since with Oscars there is no categorical subdivision, I predict American Hustle will lose the Best Picture category to 12 Years a Slave. When I saw Dallas Buyer’s Club, I couldn’t imagine that any other actor would deserve the Best Actor Oscar more than Matthew McConaughey, who won the Golden Globe for Best Actor in a Drama. Chiwetel Ejiofor is McConaughey‘s stiffest Oscar competition for his starring role in 12 Years a Slave. It could really go either way on this, but Sports Betting Dime slightly favors McConaughey in what is a pretty close race. As with the Golden Globes, McConaughey’s Dallas Buyer’s Club co-star, Jared Leto, is a favorite (and my favorite) to win his first Academy Award for Best Supporting Actor for his role as a transgendered AIDS victim. 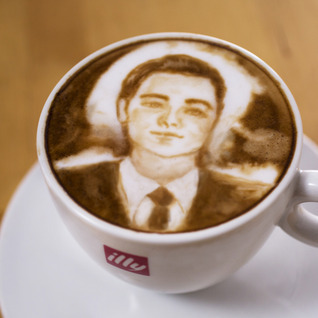 He was just amazing. Cate Blanchett completely owned Blue Jasmine and no one else in the Best Actress Category even comes close. Not even Meryl Streep. Cate FTW! Best Supporting Actress is either going to Lupita Nyongo for 12 Years a Slave or Jennifer Lawrence (who won the Golden Globe) for American Hustle. The Best Director award could go to anybody, with the exception of Alexander Payne for Nebraska, a film that only the critics and the people involved with the film seem to like. My choice would be David O. Russell for American Hustle, but if it went to, say, Steve McQueen (12 Years a Slave) or Martin Scorsese (The Wolf of Wall Street) I wouldn’t say they didn’t deserve it. 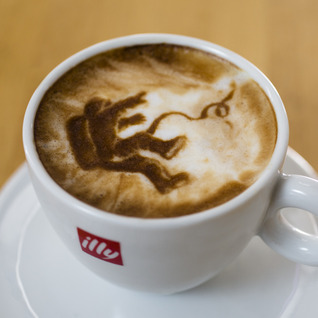 Gravity is supposed to be an epic film but if Alfonso Cuaron wins for directing it my head will explode. 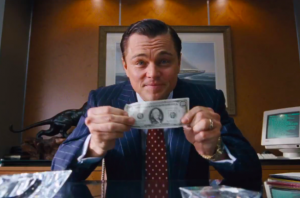 And last but not least, if I gave out the awards, Best Picture would go to American Hustle, but I am pretty sure 12 Years a Slave is going to get it, because slavery was way worse than ABSCAM. Who do you like to win in each category? Feel free to leave your picks in the comments below, and I’ll see you in front of the TV on March 2nd, 2014!